Plaid Labs - Our creative incubator, where we experiment with new ideas and collaborate with our Entrepreneurs in Residence. Claim your Perfect Pour digital badge and share it with your friends. We created these custom badges in collaboration with the fine people at Basno, a start–up to look out for, in our Entrepreneurs in Residence program. We created this infographic for GOOD magazine to help clarify for the everyday U.S. citizen how they would be affected by Obama's proposed 2010 healthcare plan. 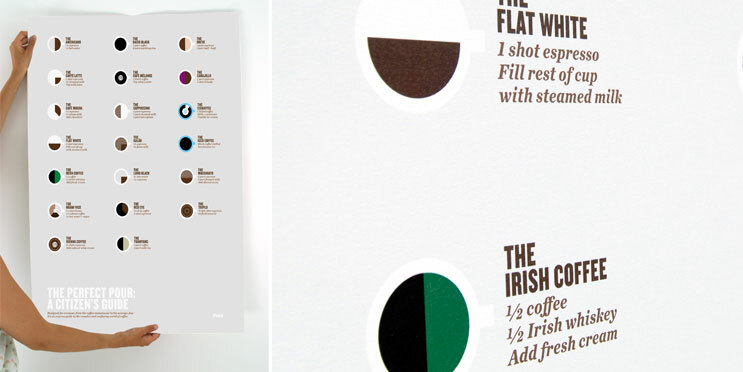 We created the Perfect Pour as an infographic for coffee lovers (Like ourselves. How many times do you have to explain to the barista how to make a red eye anyway?). The Perfect Pour became so popular that we offered it as a poster. From the results, it’s safe to say that there are plenty of coffee fetishists out there! We are devoted to exploring new ideas and we love to collaborate. To keep this spirit going, we’ve created an open environment for developing new products, especially in technology and everything digital. Plaid is also hosting some very inspiring business people and start-ups in our space as part of our Entrepreneurs in Residence program. @ 2015 Plaid, Inc. All rights reserved.